Here’s my recap for week 7. 1x 2x weight training session with Freeletics Gym. The Freeletics bodyweight coach was probably high when he created my training plan for this week. Except for Apollon all other workouts are focusing on the core so my abs were on fire this week. Hence the title of this post: ABSocalypse = Abs + apocalypse. Nevertheless I managed to do all the workouts and even squeeze in not 1 but 2 Freeletics Gym weight lifting workouts too with focus on the full body. I really love this combination of bodyweight, gym and running with Freeletics. Additionally I started walking to the training station every morning on the way to work instead of taking the bus/tram/train (if it’s not raining), it’s only 15 minutes but the little things count too. I will increase the calories by 50 because I am exercising more so I need to eat more. I recalculated my macros with HOW TO CALCULATE MACROS FOR CUTTING and I ended up with 40%C – 30%P – 30%F. The typical recommendation is 1 gram protein per weight pound. Last time I couldn’t eat this much protein but I will try this again. 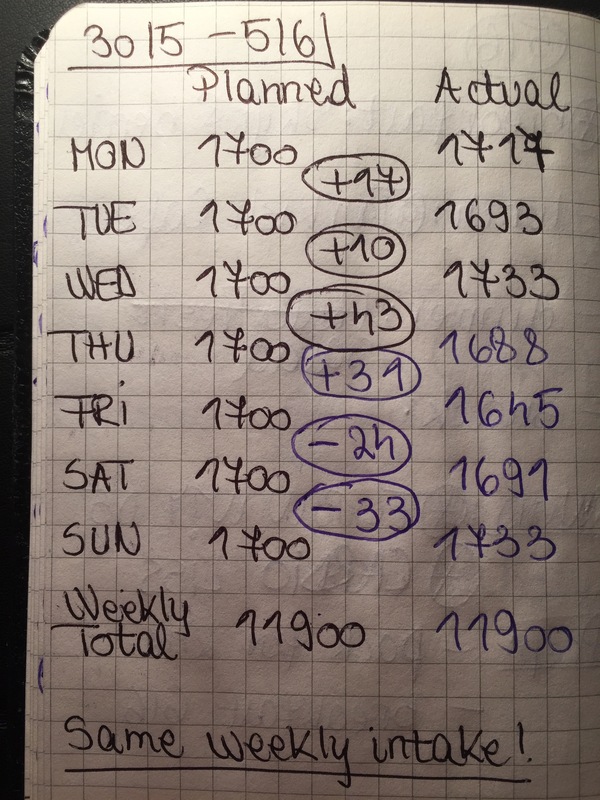 Hitting my calories went well, the main idea is to have the same weekly intake between the planned calories and the actual calories at the end of the week. 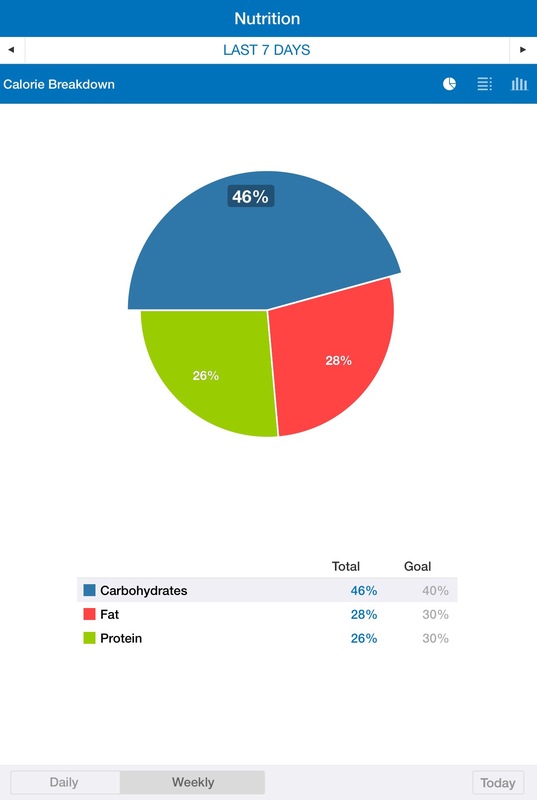 Macros went better this week, I hit my macro goals some days and I managed to eat more proteins but at the end of the week carbs are 6% too high and because of that my protein and fat too low. I need to work on this a little more. I switched from 3 big meals to 4 meals this week and I think this helps a lot. I usually eat breakfast at 8, lunch at 12 and dinner at 20 o’clock in the evening but the time between lunch and dinner is too long so I end up starving in the afternoon, I get really grumpy and it’s a high chance that I binge eat on anything that I can find. So this week I added an afternoon snack so I eat every 3-4 hours: smaller breakfast at 8 since I can’t eat too much in the morning anyway, lunch at 12, small afternoon snack at 15-16 o’clock and dinner at 20 o’clock. Basically I split my calories for breakfast into breakfast and afternoon snack, I still eat the same for lunch and dinner. This seems to work for me and I don’t feel hungry at all during the day and at night. Based on the history it looks like 40%C-30%P-30%F is working best for me when cutting. I decided to post the results of each week from the beginning when I started this 12 week challenge to show that progress is not linear. It depends on the time of the month (especially for us ladies), it is influenced by hormones, by what we eat, by how much we eat, by how active we are and so on. I also posted this to show that progress takes time. Remember that it takes 4 weeks for you to notice a difference, it takes 8 weeks for your friends and family to notice and it takes 12 weeks for the rest of the world! I swear this has been my experience with this challenge too: my close friends and family are starting to see it and comment about it now (except my mom who has already noticed 3-4 weeks in but she knows me really well :)). The lesson here is: I see so many posts on social media from girls who complain that they work out and eat healthy for 2 weeks and see no change, just give it more time. Keep going! Don’t give up! I am on a business trip on Monday and Tuesday so I’m not sure how much I will work out on those days. I will however track my calories and macros and try to hit them as best I can, considering that I won’t be able to meal prep. Stay at the same calories and macros like this week: 40%C-30%P-30%F. Even though I lost weight and body fat because the goal is to lose with the highest calories possible. I will re-adjust if/when I hit a plateau. 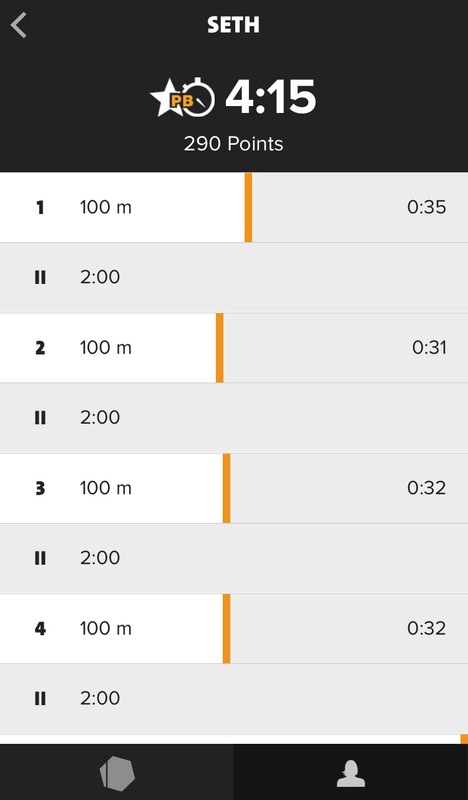 1x weight training with Freeletics Gym. 3x workouts with Kayla Itsines Summer Sweat Series.